Airbnb has grown from leaps to bounds over the past decade and even more so in the recent past. Given the free economy that the world is leaning more and more towards- How we live, How we travel and how we do business is fast becoming evolutionary and in all this where does the property owner stand? How can property owners rent their abodes and yet be hassle free from all the encumbrances and responsibilities that a host is required to do? Airbnb has a listing of some very adept Host Management service companies that is assisting them further in expanding their inventory. Given their current valuation of 30 Billion$ their primary focus for growth now is to go beyond the present revenue ceiling from existing inventory and thus attract more property owners to open up their inventory to Airbnb. The hassle of hosting has been a barrier for many people but now with more and more property management services out there, it seems to be a positive trend in acknowledging the role these managed services bring to the Airbnb domain. It’s probably relatively easier to furnish the property you wish to put up on Airbnb, create an irresistible listing, upload awesome images but the crucial part is to then enable that property to create a steady passive income. This is the challenging part for most property owners and hosts on Airbnb. This is where professional and reputed property management services come in. A credible property/host management outfit can not only look after those bookings that start to pour in but also ensure all the requisite tasks are well taken care of. From property cleaning services, restocking of household amenities, supervising repairs and redecorations, meeting and greeting guests, key exchange services etc the tasks of taking care of a property are full blown and is a full time scenario. Ask yourself do you as a property owner wish to get stuck with these aspects that can be very often overwhelming or would you rather focus on attracting multiple 5-star reviews for your property? In fact outsourcing your property with a credible property management company can actually enable you to run the show from any part of the world. So whether you are in a job that requires you to leave home and hearth often (London) and travel, or if you are worried about an imminent job posting in another city/country, planning a move to another country or if you just wish to pack your bags and take a year off travelling and soaking in cultures then the right property management company can do wonders for you. 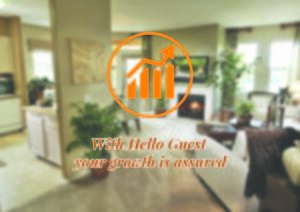 We at Hello Guest have many such property owners who literally and virtually operate their second income by collaborating with us and placing their trust in us. What has worked very well for us in the recent past is the care we take in building relationships with our clients. Veronica Tribolati the dynamic co-founder at Helloguest.co.uk is not only a great communicator but also the face of Hello Guest and she says “We started Hello Guest with a vision to streamline and professionally manage services that any property owner would require to make his/her property a 5 star stay for the guest”. Hello Guest has recently been gaining in strength with their careful emphasis on training their team in all aspects of Hospitality and Guest management. Toby France who is also the Co-Founder at Hello Guest says “Our key focus has been to consistently keep delivering quality services with the utmost professionalism”. It is this passion that both along with their highly motivated team bring to this very important cog in the wheel of property management services. Hello Guest is a game changer in the domain that it belongs to and thus any property owner who wishes to let out their property with them will only have much to gain considering the great reviews and testimonials they have garnered over time and experience. So if you wish to go from Host to Superhost – contact us to find out more. In recent times property owners on Airbnb have become successful micro-entrepreneurs who now live a lifestyle filled with diverse experiences. These successful group of people will attest to the fact that one of the key traits required is to be a genuine and warm host. Great hosting takes a lot of work, time and dedication on the part of the property owner and this is certainly not easy to be consistent with; considering our busy lifestyles where we are constantly juggling various aspects of our personal and professional commitments. And so the downside? Off Lately one is seeing property owners experiencing ‘host fatigue’, that feeling of ‘burnt out’ which then leads to a domino effect on the guest stay and guest experience scenarios. We as human beings are hardwired to start off any new venture with great enthusiasm- and on Airbnb there are property owners who totally dedicate themselves to their guests so much so that everything else in their lives then takes sort of a ‘back seat’ which is anything but healthy in any shape or form because at some point it all seems like a huge chore. What exactly is Host Fatigue? dreaming about clean linens and laundry instead of a peaceful night’s sleep etc. And yes the initial lure of back- to-back bookings have eventually fazed many a Host as that leads to minor slip-ups which then lead to Host Fatigue as one then starts to get ‘negative reviews’. Life is not about juggling but actually about striking a ‘balance’ with it all. What helps us is facing up reality and having realistic expectations from our own selves. This then means that when it comes to Hosting we must understand that we can only do so much and to truly be consistent with it we must allow ourselves to collaborate with a professional team/host management agency who know their job and have the experience to back it up with. One such is ‘Hello Guest’ who offer their professional services to the Property owners thus ensuring that you- the property owner need not stress, worry, juggle, and thus give in to host fatigue anymore. Hello Guest’s Mantra is simple- Streamlining approach- maximise performance and minimise cost. With our very dedicated team of professionals we ensure that each and every area of Property management and Guest management is well covered. With Veronica and Toby at the helm of it all- the team is constantly motivated to deliver the highest standards worthy of any luxury hotel yet keeping in tune with realistic expectations of the Host as well as the Guest. Hello Guest has had consistent performance parameters along with establishing healthy trusting relationships with the property owners. So let us wear that Hat- allow us to partner with you- let us focus on guest screenings, bookings and the logistics of it all; whilst you focus on your relationship with life. Reach us at helloguest.co.uk. Free up your free time- go meditate on the beach, play golf and stay Fatigue-free! How much can you make from Airbnb in London? Short-term rentals and lettings have dramatically increased and with this the potential to earn more ever since Airbnb has become a way of living from the time of its inception in 2008. From Property owners to entrepreneurs, and everyone in the middle has enthusiastically taken to this entirely new style of doing business- the sharing economy as it’s aptly called. London is the No.1 (main video link here) most visited city in the world since the past 3 years and has the 3rd highest occupancy rate with Airbnb with one of the lowest seasonal volatility- which means London is 365 year round- and your potential to earn becomes far better in such a scenario. How much can you truly earn? What exactly is Airbnb and how does anyone make money out of this is the most commonly asked question? It’s a digital platform that allows anyone and everyone (mostly ordinary people like us) to rent out our property or our rooms (depending on the space available) to travellers and tourists visiting our cities no matter where we are in the world. And we get to charge them for their short-term stays. All you have to do is create a profile on Airbnb with loads of great but real pictures of the property/space you intend letting out, do some research on the kind of pricing in your area- and accordingly fix a price to your abode. What are the top 3 reasons to Airbnb your home? We could list a ‘host’ of reasons- pun intended. But the top 3 we figure easily makes the most common sense. Ease and Flexibility is number 1– where else are you (the property owner) going to have it this easy to make regular and decent earnings without any major risks involved? You can choose the time, the month, the frequency of how often you wish to rent your space out and then have it back whenever you want. More Money better lifestyle!- We could have easily listed this as no.1 but then it’s not all about the money is it? It’s all about a lifestyle- and the ease with which you can truly have it. So if you wish to travel for a few months, or take that course in Spain, or just soak in some culture in Asia- and yet make money on your property- which pays the mortgage, the bills, covers your travels and yet manage to save over- how cool is that! Would you or not? Hassle Free- In a truly connected global economy what we all wish for more and more is less stress on doing things- or doing business even. With Hello Guest- we manage your listings and look at every other aspect whilst you go off and say Hello to the World. So really what is needed? It can be as basic as a spare room, a studio flat, or something adventurous like a houseboat, a caravan on wheels or opulent like a 75 bedroom castle, or cool digs with a city penthouse or loft overlooking the lights. But having said this- there are some key factors that will make your property much more appealing to any guest looking to stay over. As we very well know that ‘experience’ is what counts- and anyone having a great experience is not only sure to come back but also spread the word. How one manages ‘listings and great guest experiences’ is key here. And guest experience is nothing but how well-managed it all is. From the time the guest checks in until check out- fresh linens, clean house, well-stocked bathroom, kitchen amenities, a welcome goody bag, information manual all make a huge difference in experience. And with a few very professional and world-class property management outfits available with Airbnb- your job is even simpler- as all you have to do is partner with the right kind of company that genuinely cares for you, your property, the guest experience and your earnings. The other key factor is ‘What kind of property you have’? Does it have a great view? Is it conveniently located with easy access to public transport? What’s the quality of the building etc etc. Let’s talk about London here since we are primarily focused on this city. We have seen over time that most travellers prefer to book a place that is in Zone 1 or Zone 2 and a few selected areas outside these zones; but prime Central London is truly where the action and the buzz is for tourists. You can tap in the postcode, area code or location into Airbnb’s search facility and you’ll quickly get a sense of what properties go for in your area. So what are you waiting for? Get in touch with us here, and go take that dream vacation leaving the Airbnb hassles to us. Author adminPosted on 2016-07-27T15:21:58+00:000000005831201607 2017-02-17T08:35:01+00:000000000128201702 Categories AirbnbTags airbnb, airbnb managementLeave a comment on How much can you make from Airbnb in London? Airbnb has grown exponentially in the past few years ever since its inception 8 years ago. Its valuation in June 2015 was pegged at 24 billion$. One of the primary reasons for this success is that it really knows how to take care of its hosts– the property owners. Its USP is in ensuring ‘peace of mind’ for each and every host no matter where they are. 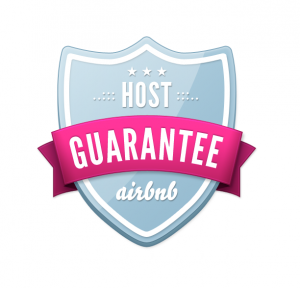 In an increasingly small world this ‘host guarantee’ has made Airbnb one of the safest and most trusted online communities that is only increasing in popularity each day. At the Ignite conference held in March 2016- findings say that London was one of the most popular cities ranking behind New York and Paris. This then makes for a truly sound business venture for all those micro-entrepreneurs who are looking to host their properties and this is where one’s peace of mind comes in. Airbnb makes it safe and simple with their unmatched insurance guarantee for property damage up to £600,000. It means each time there is a booking for the host property, an automatic insurance cover becomes active and all the host has to do at the initial stage at the time of their property listing is to follow some easy steps mentioned on their site. 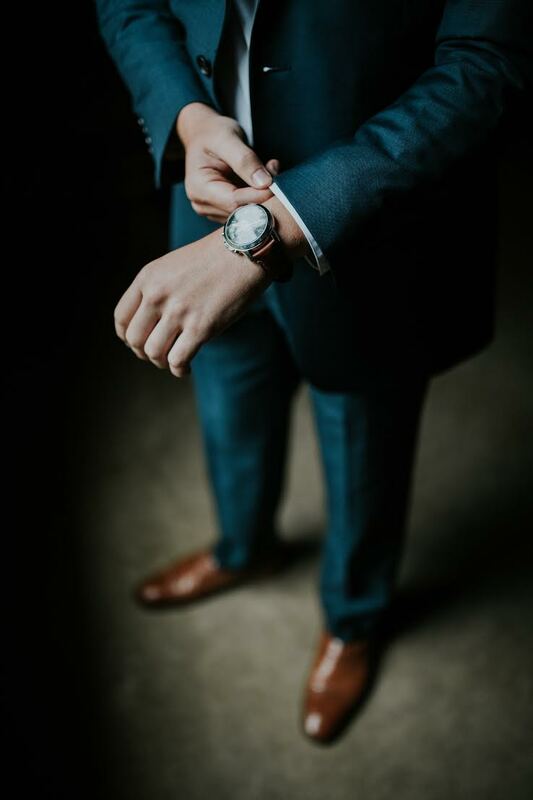 It’s also important to understand that this ‘Host Guarantee’ does not cover reasonable wear and tear and it’s always common sense to take away most valuable assets like cash, jewellery and other precious items like family heirlooms etc. A detailed description of everything is below. 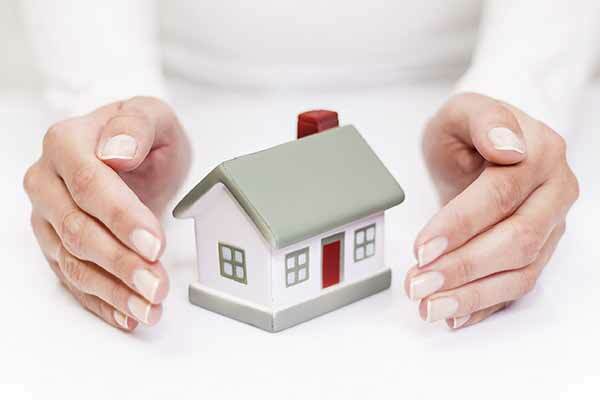 “Covered Losses” means and is limited to direct physical loss or physical damage incurred by a Host to Covered Property of such Host located at a Covered Accommodation caused by the Responsible Guest or an Invitee of the Responsible Guest while staying at such Covered Accommodation booked by such Responsible Guest through the Services. Property in transit, except as otherwise provided by these Airbnb Host Guarantee Terms. Are there any limitations to the coverage? provided, that any physical damage resulting from any of the conditions listed above will be covered by the Airbnb Host Guarantee if not otherwise excluded under the Airbnb Host Guarantee. We at Hello Guest make this even simpler by ensuring that it’s all done from the moment you sign up with us for ‘full property management services’. It’s part of our customer care protocol and most importantly we care equally for you as our family and as a part of the larger Airbnb family. It’s always good to know that ‘peace of mind’ is not just a term but something that is very well implemented by our professional team with an absolute commitment to quality care. With our constant dedication in building a solid relationship with our hosts- Hello Guest takes it up a notch in the world of Airbnb property management services. It was not too long ago when property owners in London would have to go through a Rental management agency or a broker to make a deal for renting their properties out. But times have changed and AirBnB has revolutionized the business. Now every property owner is turning into a rentalpreneur or a microentreprenuer in the current sharing economy that has taken the global world by storm and rightly so. In fact there are individuals who are specifically buying properties just to let out on AirBnB. No more the encumbrances that usually were part of the previous way of doing business — its more about the freedom to be able to choose how short/long a stay the host wants to give out the property for and thus be able to completely maximise on rent incomes in various flexible ways. Also it’s important to remember that with short lettings the owner can use the property as and when needed. Also AirBnB’s jaw dropping $24billion valuation in June 2015 with revenues between $850-900 million has made everyone the world over sit up, take notice and also wanting to be a part of this success story. Airbnb was founded in 2007 and has become the brand of choice for Lifestyle Business Entrepreneurs who travel extensively and want the personal touch rather than the sterile environment of hotels. So AirBnB has fast grown in popularity across all kinds of travellers, as there is room for everyone on it. And even the hosts get to benefit in ways beyond just the actual income- they get to meet people of varied cultures and share experiences which sometimes also lead to great friendships and relationships. But this way of doing business in the property domain does not come without its pitfalls. The crucial factor for many hosts/property owners is the fact — Is my Home truly protected or taken care off not just with the guest screenings but key services that make all the difference- fresh laundry, impeccable cleanliness, protection against theft and damage etc..
And to top it with a service where the guest feels completely at home and the property owner feels at peace knowing that the property is being taken care off before and after the guests depart. What is imperative here is the ‘Trust Factor’. Of being able to trust the management services that the property owners sign on to take care of all of the above. Let’s take a look at what are the essential key services that a property owner/rentalpreneur will look for in a management service outfit. In recent times there has been a spate of various management companies that have all come up to get their share of the pie that is AirBnB. But the question is how many can deliver and do deliver upon their promises. These are all crucial questions that you as a Rentalpreneur must ask prior to getting anyone onboard. Most management services in the AirBnB domain are impersonal and are genuinely not caring enough to go that extra mile and this for most property owners can be a make/break deal. We at Hello Guest constantly keep endeavouring to ensure that our property owners not just get to know us face2face but also understand us and our operations at every step of the way. Transparency is the key to build long-term relationships that are mutually beneficial to the property owner and the management team. At Hello Guest we reinforce flexibility and true partnership with property owners by not getting into any fixed length timeline in the contract. This means that both are happy to continue developing this relationship or leave it if the client for any reason is not satisfied with our services. So for your peace of mind whilst you sit back and let us maximize on your property why not get in touch with us and see how we can be your partners in business. To contact us click here. Often we get asked what Airbnb is and how it actually works. Lets face it a few years ago very few people had heard of Airbnb at all. Airbnb has created an online platform to allow property owners to offer their space (be it just a room or the entire home) and make it available for visitors to rent for short stays. The host can show pictures of the property, provide a description and a nightly price to rent. The booking is made directly through the platform offering some protection for both sides as well as the option to secure a deposit. Its very simple to set up and provides some handy extra income. One of the main challenges while managing your Airbnb property management is to separate or minimize your time from the income it can generate. If you are managing your Airbnb property you should aim to spend not more than 3 hours per week on it. Airbnb property management includes each and every tedious task like cleaning, purchasing household goods, guest check-ins, accepting new reservations and maintaining a good line of communication with the current guests. 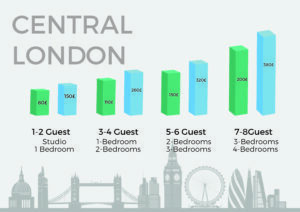 There are several aspects to the Airbnb property management in London. Let us take a look at each of them closely one by one. Check-ins, Check-outs, cleaning services and other jobs will always keep your schedule busy and at a certain point of time it will be increasingly difficult to keep track of all the appointments and tasks to be completed. There is an option and feature to sync your calendar to the Google Calendar. You can share all your booking details and other appointments at a one stop location and this will help deliver better scheduling. The Google Calendar also gives the added advantage of storing the Contact Information and other details along with the check-in and check-out times of all the guests. Airbnb provides a calendar management mode which makes it pretty easy to be able to sync it with Google. Prepare a list on which jobs you would like to do and which you would rather outsource. While most of the jobs may not be that glamorous, like scrubbing a toilet, it will help you save some money. Outsourcing has become important, as you cannot be expected to each and every other job along with your current full time job. There are various companies you can outsource all or part of the property management, such as cleaning or meeting and greeting guests. Just identify the tasks you least want to do or are most time consuming and see if you can cost effectively outsource them. The supplies, if not managed correctly, tend to run out at the most inconvenient of times and can be reflected in getting poor reviews. For example most guests expect there to be toilet paper and will negatively comment if they are forced to buy some. Getting the required items organized can be easily achieved by providing and establishing a periodic checklist for ordering and replacing the missing items. Doing a monthly inventory check for all the property rentals can also help significantly. Also, buying some of these products in wholesale can also help you save considerable amounts of money. If the property is hugely popular and you are earning respectable amounts of income from it, then you may also consider hiring a personal assistant or a caretaker for the property if it covers the costs. Success is if you can get a person in and out of an apartment with the least possible amount of hassle both for the guests and hosts. Many guests prefer less intervention from the hosts so you may consider installing keysafes or keylocks by the entrance to allow guests to check-in and check-out when they want opposed to the tricky part of coordinating having someone available to meet them. There is a huge cleaning service market available with many providers competing for your business. Ensure that you have a service that is reliable, can offer a flexible schedule and understands the business that you are in. if you cannot hire a cleaning service agency for each booking then another option is to hire them to deep clean the property once per month and then handle the rest on your own. If you do have some free time on your hands, then this should not be too difficult.